Are you in Florence this weekend?? 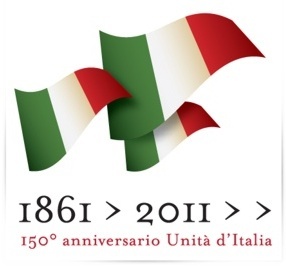 Come celebrate the 150′ Anniversary of the Unification of Italy, and you will also discover that Florence was the first capital of Italy: at this link! Otherwise, you can adopt an Italian monument here! Do you know about other relevant initiative in Florence about this event?? Send it to us with your comments!! Within the project ‘La Città degli Uffizi‘, remarkable art exhibitions continue within the Florence area, in Italy. The aim of the project is to disclose masterpieces that are usually hidden in the Galleria degli Uffizi‘s deposits, and to connect them to the public and to local territories sourrounding the city of Florence. Consequently, it is to leverage the tourism and ecomonic asset of those towns that are often left out from the major mass tourism tours. From the 21st of November 2010 to the 1st of May 2011, ‘La Città degli Uffizi‘ welcomes you in Scandicci at Castello dell’Acciaiolo with the exhibition GHIRLANDAIO – Una famiglia di pittori del Rinascimento. The Fondazione Romualdo Del Bianco with Life Beyond Tourism® are proud promoters of the initiative. For more information, please visit the official webpage at this link. A new edition of ‘La Città degli Uffizi’ is going to open soon in Figline Valdarno! ‘La Città degli Uffizi’ is a project including a series of art exhibitions scheduled to be in different towns within the Province of Florence, and showing to the public important art works usually stored in the Uffizi Gallery’s deposits. In this respect, the project aims to connect the florentine territory and the public to these important art pieces. After the 2009 editions in Figline Valdarno and Bagno a Ripoli, and after the first 2010 edition in Pontassieve the project La Città degli Uffizi has headed again to Figline Valdarno with the opening of the exhibition Arte a Figline – Dal Maestro della Maddalena a Masaccio – to be held from October 16th, 2010 to January 16th, 2011. The Romualdo Del Bianco Foundation® and Life Beyond Tourism® are two of the proud promoters of the initiative. For more information, visit www.lacittadegliuffizi.org. In summer, in Mtskheta – the old Georgian capital which has been populated since the second millennium BC – when the Mtkvari River ebbs and its water level drops, an ancient construction comes out of hiding as the Roman-built Bridge of Pompeus (circa 65 BC) can be seen soaring out of the water, still linking the banks of the river. While the Bridge of Pompeus is a powerful symbol of Georgia’s and Italy’s age-old friendship, it is not the only thing which underscores the cultural affinity which has existed between the two ancient Christian nations. Another example is the Georgian-Italian dictionary: an early lexicographical work in Georgian published by Poliglota, the famous Roman printing house. “The Georgian and Italian Dictionary Compiled by Stefano Paolini, with the Assistance of the Georgian, Niceforo Irbach, a Monk of the San Basilio Monastery, for Use by the Missionaries of the Sacred Congregation for the Propagation of the Faith.” This is the full title of the dictionary, which is a result of a Georgian ambassadorial mission to Europe by Niceforo Irbach (Cholokashvili). After the fall of Byzantium, Georgia became broken into several kingdoms and encircled by hostile Muslim powers. At the dawn of the 17th century constant invasions and internal conflicts weakened once mighty Georgia, an ally of the Roman Empire. King Teimuraz of Khakheti sent Niceforo Irbach to Italy and Spain as the Georgian ambassador to seek allies and to ask for assistance in holding off the Turks and Persians. The ambassadorial mission did not have much political success although it did bring about a significant cultural event – the printing of the first Georgian book. The Georgian-Italian Dictionary complied by Nicefero Irbach and Magnifico Stampatore (‘Magnificent Printer’) Stepano Paolini contained 3,084 entries written with Georgian letters. This was not the first trace of Georgia which had been left in Rome as in the second century Parsman II, King of Kartli, who had arrived in Rome at the Emperor’s invitation, and the Emperor Antoninus Pius erected a statue of the Georgian King in one of the city’s main squares. Those visiting Rome today should not try to find this statue as it only lives on in the annals of Dio Cassius. However, while strolling through Venice Square near the Roman Forum one can glimpse the building where the first Georgian book – the Georgian-Italian Dictionary and alphabet with prayers – was printed. Original copies of early material printed in Georgian can be seen in the archives of Tbilisi State University library. Today, our Life Beyond Tourism University Delegate Katarzyna Galicka from Poland is going to introduce us to her favorite polish artist: Magdalena Abakanowicz. “One of the most popular modern artists in Poland is Magdalena Abakanowicz. She was born into an aristocratic Polish-Russian family. When she was nine Nazist Germany invaded and occupied Poland. Her family endured the war years living on the suburbs of Warsaw. After the war and resulting Soviet occupation, the family moved to small city of Tczew near Gdańsk, in northern Poland, where they hoped to start a new life. Under Soviet control, the Polish government officially adopted Socialist realism as the only acceptable art form which should be pursued by artists. This historical information is very important to understand her art compositions. As a young women she started with different interpretation of textiles. Because she had just a small atelier she hanged their robes into the ceiling. In this way she wanted to demonstrate something else than socialist realism. The goal of her works was the main topic: nature. The below article was published in the English-Georgian magazine ‘Focus’, 2007 (special addition about Italy). Although ‘every road leads to Rome,’ the diplomatic road brought Fabrizio Romano from Rome to Tbilisi with the mandate of an Italian Ambassador while Georgian Zaal Gogsadze was sent to Rome, where this son of a tiny country was bestowed with the enormous responsibilities of Georgian Ambassador. How do you feel in your newly adopted country? F. R: Bene, Grazie. I feel lucky that I am in Georgia. Z.G: Very well, though not as an Italian. I still live with the everyday life of Georgia. The only difference is that I am in Rome, in this truly eternal city. Passing by the Trevi Fountain, I want to go into the water like Marcello Mastroianni – although it is forbidden – and besides, Anita Eklberk doesn’t call from the fountain any more. What it is like to be an Italian (Georgian) Ambassador to Georgia (Italy)? F. R: It is a responsibility and stimulus. I think that there are few ambassadors who have the opportunity to be in such a politically active and internationally significant country as Georgia. Is there any spot in the country where you work which reminds you of your home country? F. R: Bakuriani reminds me of Trentino, and Gudauri is like the northern part of the Alps. As for the Kakheti region, it is like Toscana. Z.G: There are several places that remind me of Georgia. However, the Orange Garden in Rome is the most significant because while looking out from there I have the feeling that I am gazing at the bank of the River Mtkvari near Queen Tamar’s bridge. Besides, here are a lot of plane trees along the streets like in Tbilisi and the River Tevere has almost a Mtkvari-like size. As for the regions, Toscana quite resembles Imereti, though Imereti is greener. What is the stereotype of an Italian (Georgian) in Georgia (Italy)? F. R: There are Georgians who know Italy and Italians better then I do since I have not lived in Italy full-time for about 20 years already. Though, I can say that there are two Italian stereotypes: that which was created by films of the 1950s-60s and the real. Sometimes, when I am watching old Italian movies I am amazed since the Italian stereotype has undeniably changed. Z.G: Italians think of Georgians as hospitable, openhearted, friendly people with a European mentality. Many remark that Georgia is the doorway of democracy at the junction of Europe and Asia. Georgians and Italians are frequently seen to have same character or temperament. Do you see similarities between Georgian and Italian people? F. R: Georgians and Italians really do have something in common. The immense traditions and the cultures of these two Christian countries, Italy and Georgia, have certainly made a remarkable influence on the two nations. And what would you say about the role of wine in the life of Georgian and Italian men. Who better knows the value of a quality wine, Italian or Georgian? F. R: In the 1960s, wine was an important component of the Italian daily ration. Now drinking wine has become a pleasure, like it is in Georgia. Today the quality of Italian wine is really high as is the international demand for it. I think that the quality of Georgian wine has also improved. If during the Soviet period the accent was on the quantity of wine, now quality appears to be a priority. There are unique species of vine in Georgia that must be brought to the international market. I see that Georgia is going in this direction, and this is the right way. Z.G: Maybe Georgians appreciate wine more. I don’t think that anyone around the world would love and adore wine as much as a Georgian peasant living in Kakheti. However, Italians also know the value of wine and drink it everyday. Red wines are the most popular here and the vineyards are perfectly minded. Viticulture is more developed in Italy, though, let’s see, I am sure that viticulture in Georgia will take a leap forward in the nearest future. Would you change pizza (khachapuri) to khachapuri (pizza)? F. R: I would not be honest if I said “yes,” though I do like khachapuri very much as it perfectly substitutes pizza for me. Do you remember the very first day when you arrived in Georgia (Italy) with the mandate of an Ambassador? How did hospitable Georgia (eternal Rome) meet you? F. R: Of course I remember that day as if it were today. It was in May, 2003, and the official, diplomatic meeting was soon followed by Georgian hospitality. Z.G: The first day was quite usual. My wife and I arrived in Rome late at night since the flight was delayed. However, the day when I met the President of Italy was a really significant one and I will never forget that momentous date. Two guards dressed in special uniform came to the Embassy to accompany me to the President. To be frank, I was a bit startled since both of them were two meters tall. (Later I learned that presidential guards cannot be shorter than two meters). When we entered the yard of the Presidential Palace, guards lined up in the Roman soldiers’ attire greeted me. Then I walked through the large halls and met the President with whom I had a very open and interesting conversation. How will Georgia (Italy) stay on your mind? F. R: I will have nostalgia. Z.G: Italy – a country of beautiful, warm and vibrant people.